Get the best of both worlds on this combined walking tour and boat cruise excursion. 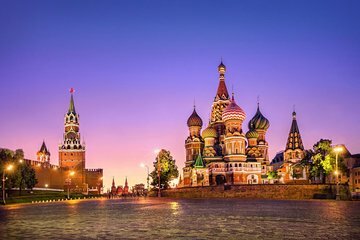 Check out Moscow’s famous Red Square on an in-depth walking tour, where you’ll learn all about the architecture and culture of the area. Then, relax and take in the city’s sights from the comfort of a cruise along the Moscow River. Enjoy a three-course Russian meal on board.